It’s a hard task to select the best picture from our customers each month. From food appreciation images, to celebrations, dining with friends and families – there’s so much to choose from! We agree, choosing a dish at Garfish is a serious business! And the full dining experience caught on camera! Clockwise from left, zucchini flowers, salted caramel pavlova, kingfish, affogato, snapper pie, orange blossom Creme brûlée and fruit shop mocktail in the middle. Not pictured, the current food coma I am in! 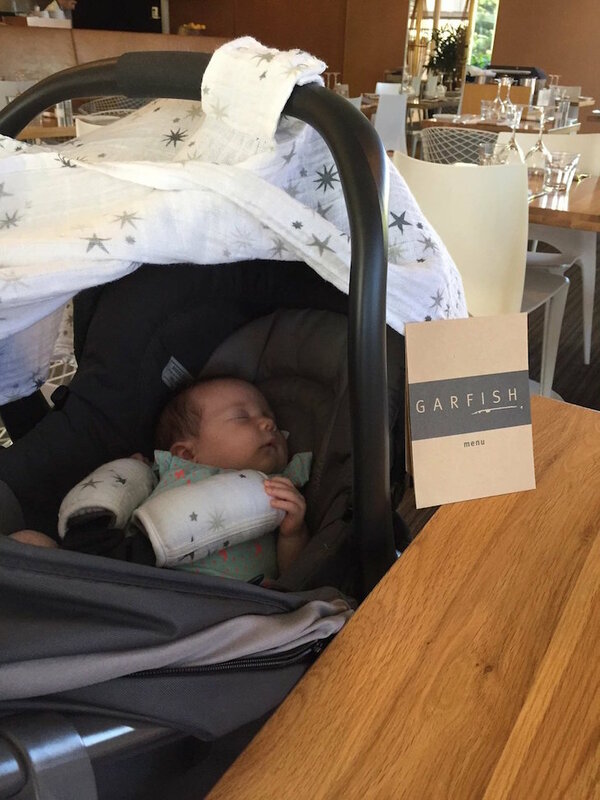 May’s winner is Bryte Cameron, for sharing her picture of Piper enjoying her first ever lunch at Garfish. We think a love of seafood starts young and Piper seems to be quite content about her lunch date! Bryte, we’ll be sending you a dining voucher at the Garfish restaurant of your choice. Thanks for sharing! It’s easy: simply snap a selfie or food pic when you dine at Garfish then share it to your social media account (Facebook, Twitter or Instagram). Be sure to include us so we see your photo. And that’s it! Every month we pick one lucky winner to receive a dining voucher. We look forward to seeing more food pics and selfies during June.